Strength and aerobic capacity decline with age. We can’t deny it but we know that if we continue to exercise we can slow the decline. 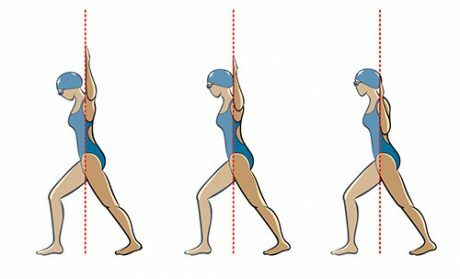 Perhaps less talked about, but equally important to us swimmers, is that our flexibility also decreases as we age. This is due to an increase in something called a cross bridge, which are additional links between the collagen fibres at shorter intervals along the length. As a result the collagen in our connective tissue stiffens up. This in turn reduces the available stretch in the fibres. Fortunately, like strength, flexibility can also be maintained through the right exercise routine. As with many things to do with the human body and mind it’s a case of use it or lose it. 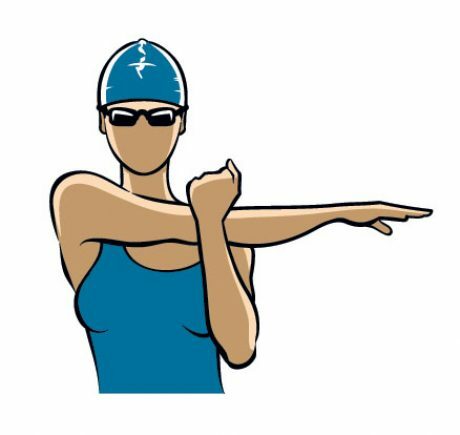 Use a variety of strokes in your swimming training. This will help maintain both strength and flexibility – and it’s more fun. Add yoga or Pilates to your exercise routine. Consider how your daily routine affects your strength and flexibility. Sitting at a desk all day lengthens and weakens the glutes and shortens the hip flexors. 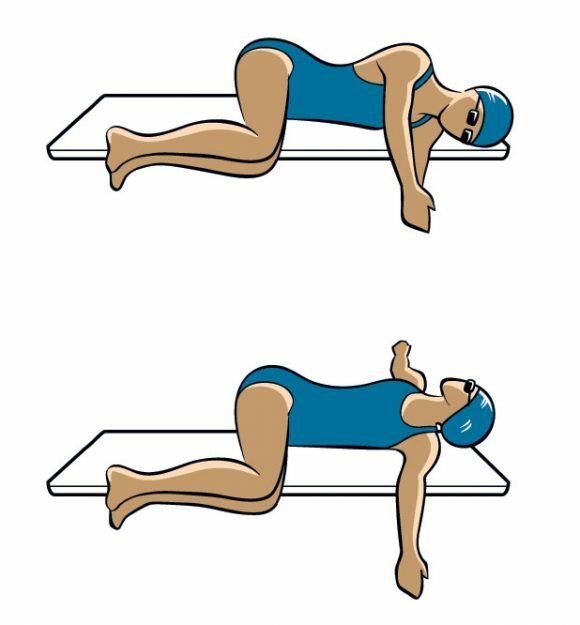 Swimming with tight hip flexors will often give you an ache in the lower back and weak glutes will result in a loss of power on hip extension causing you to overuse the hamstrings and ultimately swim slower. If this is you, target these areas on your exercise routines. Finally, don’t panic that you might have left it too late. Flexibility is actually quite easy to gain and maintain. I often hear people saying that they are simply inflexible and despite stretching they can’t develop muscle length. However it’s always possible to improve your flexibility and it just needs commitment to regular stretching over a long period. It’s true that some are physiologically going to be more flexible than others; however, everyone can improve with a little dedication. 1. Triceps. Hold for 15 seconds. 2. Deltoids. 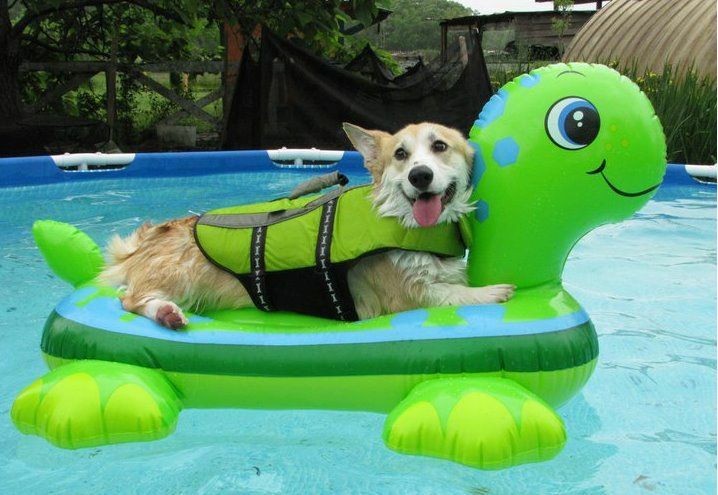 Hold for 15-20 seconds.